MSG is Tuesday! And It’s All About Jell-O! And agar agar. And isinglass. And molecular gastronomy. And Peter Cooper. And I’m making Poke Cake! Full details below. And if you don’t live in New York City, look out for our podcast of the event in July. Masters of Social Gastronomy: Gelatin! Masters of Social Gastronomy (MSG) is a monthly lecture series all about the history and science behind some of your favorite, or not so favorite, foods. This month: gelatinous edibles of all sorts. 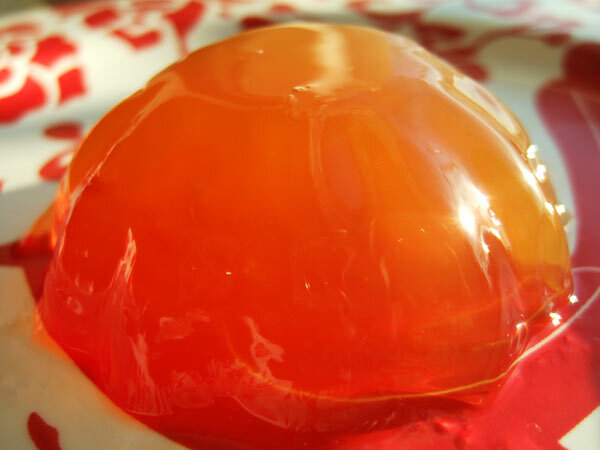 Sarah will discuss the origins of gelatinous desserts, starting long ago when jiggly delights were made with drippings from beef stew or extracts from the swimbladders of sturgeon. Then we’ll take on that modern wonder: Jell-O, exploring the greatest atrocities and wildest successes of the 20th century Jell-O mold, while figuring our why recipes for meat in lime Jell-O exist. From 19th-century “Punch Jelly,” to 20th-century “Jell-O Sea Dream with Shrimps” you will see gelatin both beautiful and horrible. Meanwhile, Soma will untangle the science of gelatin and its kin, introducing a few lesser-known relatives along the way. How’d we get the wiggle in those jigglers? Find out where killer bacteria and Jell-O meet on the other side, and dive into the amazing world of edible dishware. Stretch the boundaries of reality through an introduction to counterfeit Chinese eggs and the fancy-pants world of molecular gastronomy. As if that’s not enough, we’ll be joined by Michelle Zatta and Nadia Siddiqui, co-directors of the Jell-O Mold Design Competition, who will present the good, the bad, and the ugly of gelatin design, including tips on how to create a successful Jell-O mold. RSVP HERE so we know how many free samples to bring! Poke cake!!!! I haven’t had that since elementary school! I may have to bake this weekend.